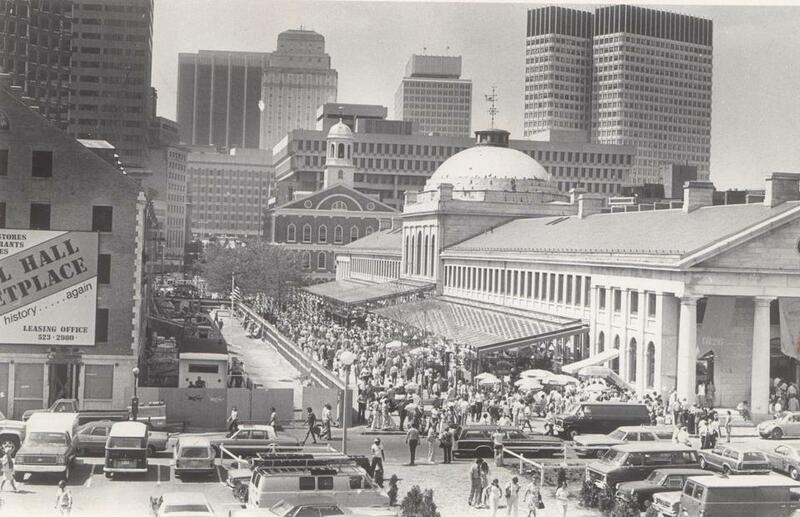 Boston is launching a discussion of a new vision to make more success stories like Quincy Market (seen here in 1976). In 1965, city planners unveiled a 10-year blueprint for building the “New Boston,” a city of science and history crisscrossed by new expressways, invigorated by urban renewal projects like Government Center, and transformed by a strip of parks running the length of the coast. Officials envisioned a sports stadium and vocational school near South Station, boating and beaches on Columbia Point, and a push to transform the seedy streets around Faneuil Hall and Quincy Market into the shopping and tourist destination that exists today. Now, with cranes dotting the skyline and the city in the midst of an unparalleled building boom, Mayor Martin J. Walsh has launched Boston’s first citywide planning effort in a half-century. The two-year initiative, Walsh said, will go beyond a technical assessment of zoning and land use and will encapsulate residents’ aspirations for what the city should become by 2030. Boston Mayor Martin Walsh spoke at Faneuil Hall during the Innovative Design Alternatives Summit. 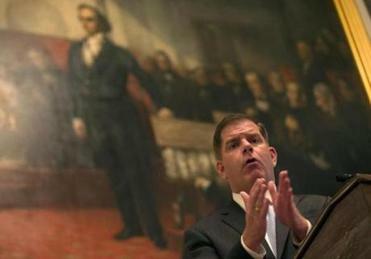 In a session with reporters, Walsh and his top aides outlined lofty ambitions but offered little in the way of concrete details. The mayor said he will hire a staff to lead the planning effort, but said it was too soon to say how many people will be required or how much the endeavor will cost. Officials stressed this was the beginning of a process that will be driven by residents and will involve an unprecedented amount of public input. The city launched a website, imagine.boston.gov. Jerome Smith, the city’s chief of civic engagement, said the administration will move beyond the traditional town hall-style meeting with microphones stationed at the front of a room and reach people in new ways. The 1965 plan was both prophetic and dead wrong. Planners questioned whether manufacturing would ever again occupy a large role in Boston’s economy and suggested rightly that the city’s future lay in the growth of science, medicine, and higher education. They were right about Faneuil Hall and suggested that well-designed areas such as Worcester Square in the South End were ripe for rehabilitation. 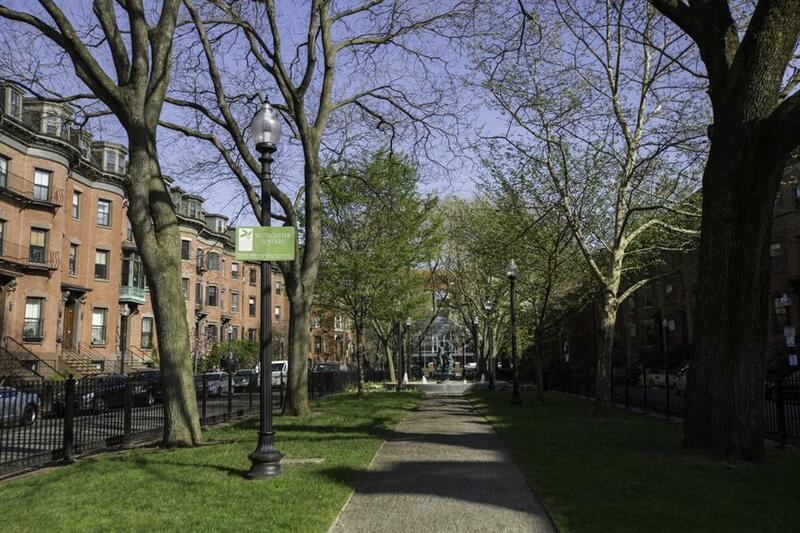 Last year on Worcester Square, a large three-bedroom apartment sold for $2.3 million. Once uninspiring Worcester Square, where a three-bedroom residence sold for $2.5 million last year, is a success story in Boston’s 1965 redevelopment plan. In 1965, planners thought that Boston had halted the urban exodus and predicted that the city’s population would surge by the end of the decade. But Boston continued hemorrhaging residents for years as people fled to the suburbs. Planners were wrong about the stadium near South Station. Columbia Point became the home of the University of Massachusetts Boston. New highways were never built. Land cleared for the Southwest Expressway became the Southwest Corridor Park . Fifty years ago, planners worked with a goal: Boston hoped to host Expo 76, a world exposition to mark the nation’s 200th anniversary. Within a few years, it had been scuttled by fears of high costs and environmental concerns. City officials now possess a new vision: Boston is bidding to host the 2024 Summer Olympics. But Walsh said competition for the Games is not driving the planning initiative. “The Olympics has zero impact on our plan,” he said. Over the next two years, city officials hope to work with residents to tackle contentious topics such as urban density and parking, public transportation, and affordable housing. They anticipate discussion about art and schools and entertainment.